3rd Group Stage match of CLT20 2014 was played between Cape Cobras vs Northern Districts (CC vs ND) at Shaheed Veer Narayan Singh International Stadium, Raipur. Disticts with splendid batting performances put huge score of 206 runs. Match intrupped in Cobras inning and forced to abendoned on 7.2 overs of Cobras inning and Districts declared winner for their higher run rate at the point of stage. Northern Districts won by 33 runs (D/L method). KS Williamson declared man of the match for his 101* runs of just 49 balls with 5 massive sixes and 8 fabulous fours. Earlier Cobras won the toss and chose to field first and let Districts to set target. Districts got solid start with AP Devcich and KS Williamson. Both played superb innings and go after Cobras bowlers rudely. 1st wicket partnership ended on 140 runs when AP Devcich got run out scoring 67 runs of 46 balls. KS Williamson still in middle and continued playing good strokes all round ground. On other side BJ Watling took the charge and played good inning of 32 runs of just 20 balls. 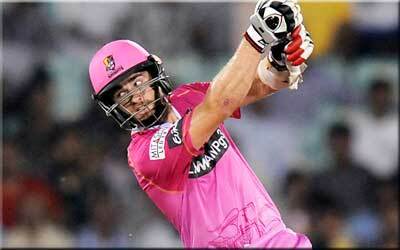 KS Williamson remained not out till end and made 1st century of this season of CLT20 2014. Districts managed to put huge score of 206 runs at the end of 20 overs. Following huge target of 207 runs, Corbars could not made batter start and lost S van Zyl on very first ball of inning. Rain umtrupped the match and forced to abendoned after 7.2 overs and Districts declared winner for their higher run rated at the point of stage. Northern Districts won by 33 runs (D/L method) and earn important 4 points. KS Willimsom declared man of the match for his superb inning of 101* runs.